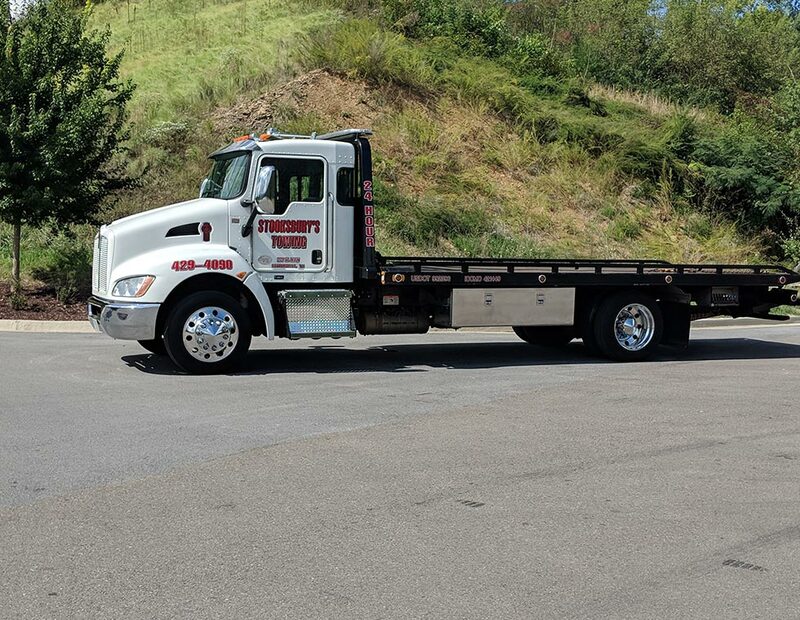 No tow company would be worth operating if it didn’t make itself available to you whenever and wherever you may need it. When you call Stooksbury, you can be sure somebody will be waiting on the other end of the line to send an operator to your location at a moment’s notice. 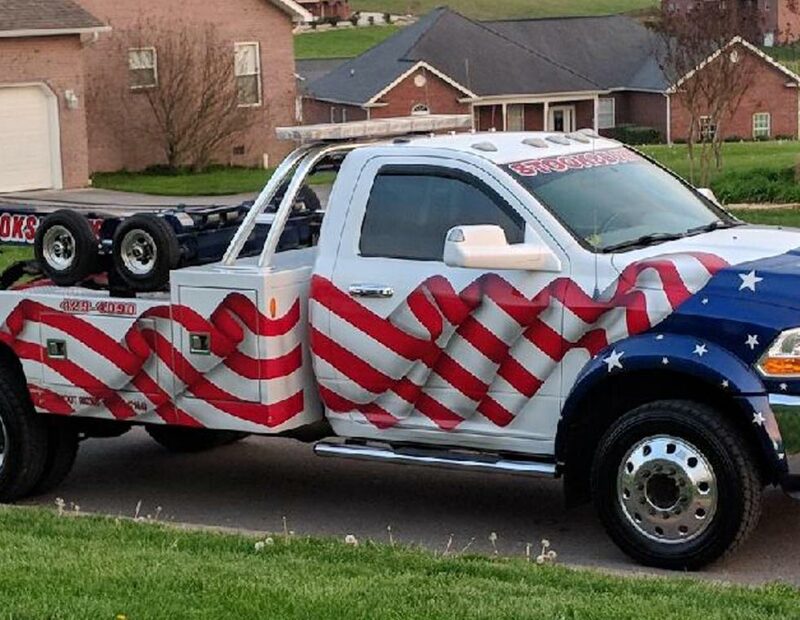 Stooksbury’s Towing is a comprehensive towing, recovery and roadside assistance provider serving the greater Sevier County area. 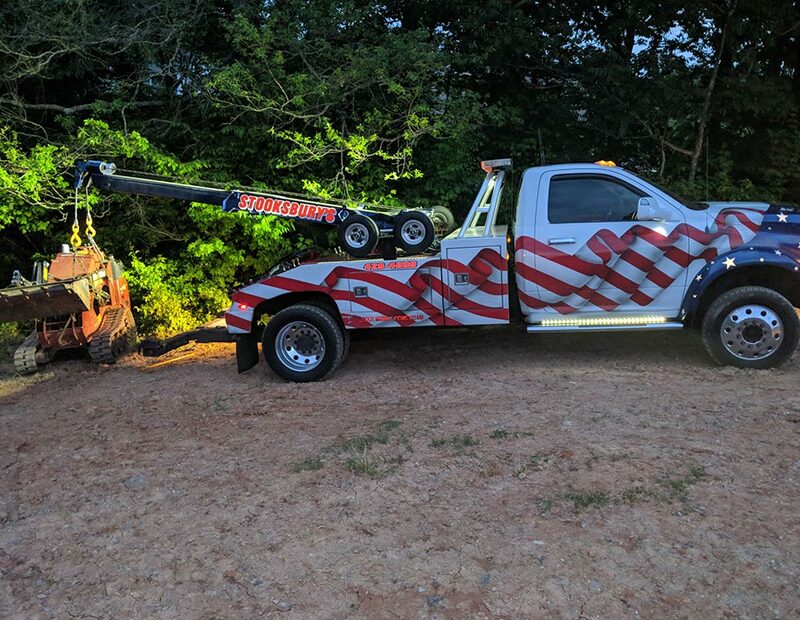 In business since 2001, we specialize in light and medium-duty towing, as well as accident recovery, tire changes and more. We offer these services at the industry’s most competitive prices for the crucial automotive help you need. 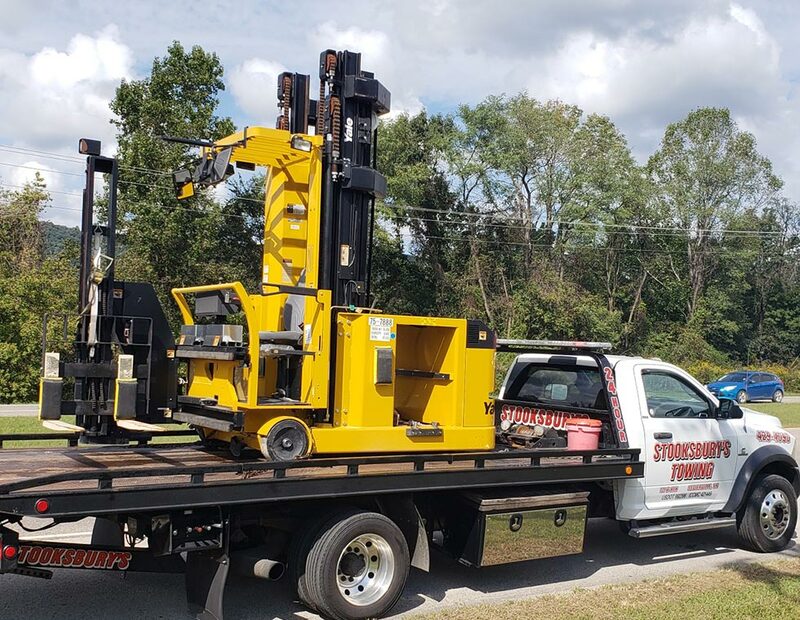 Our vast fleet of trucks includes multiple four-wheel drive units to make sure we can tackle even the toughest recovery and towing jobs. We offer indoor and outdoor storage for your added convenience. As one of the only companies in our coverage area that offers mobile battery service, testing, sales and installation, we represent the very best our region has to offer. 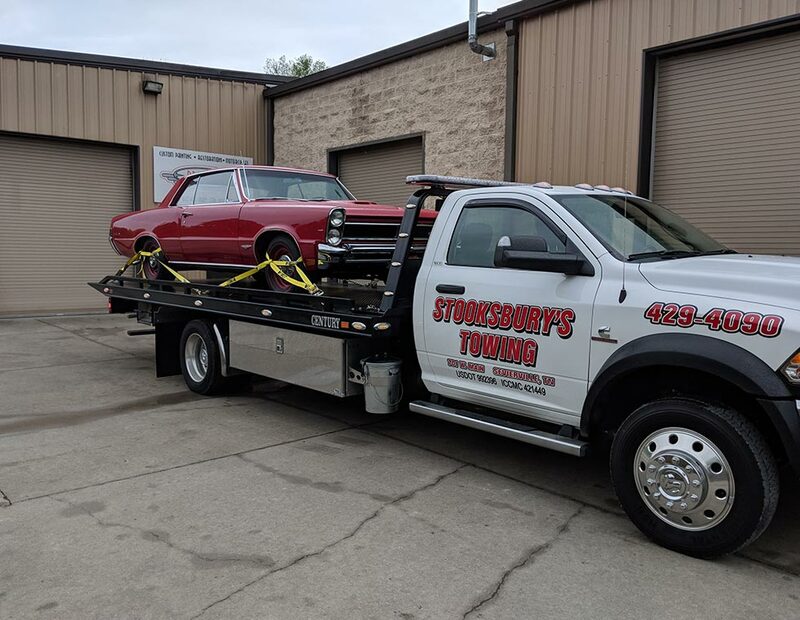 Call Stooksbury’s Towing today for the quality service you deserve! 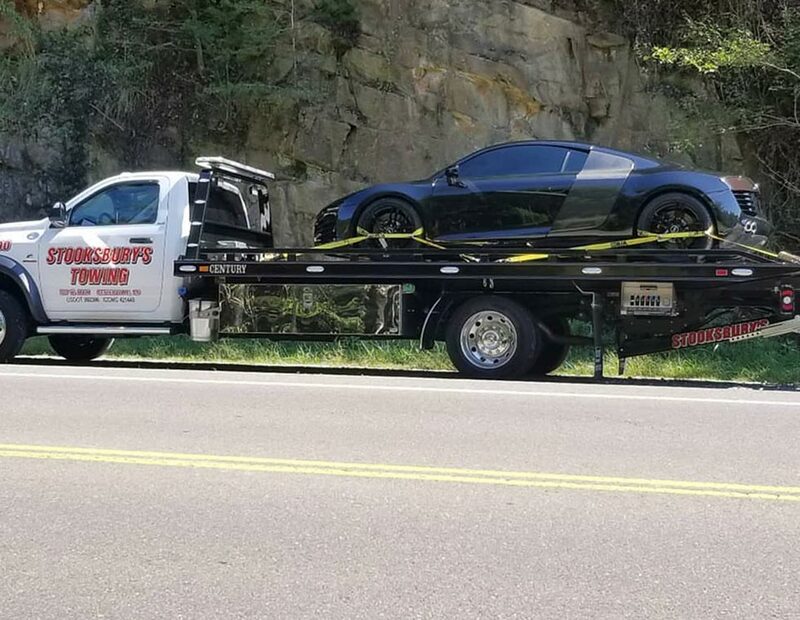 At Stooksbury’s Towing, we work around the clock to make ourselves available to you whenever and wherever you may need it. Whether it’s a rush-hour fender bender or a flat tire at midnight, when you call us, somebody will always be waiting on the other end of the line to send an operator to your location. 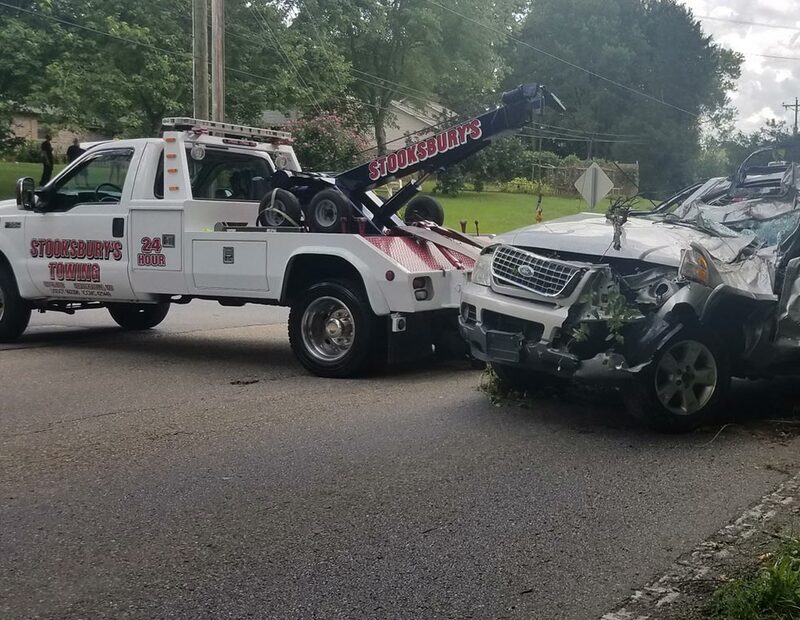 We started Stooksbury’s Towing 17 years ago with one simple but all-encompassing goal in mind: to provide the greater Sevier County area with the quality towing services it deserved. We knew our community needed urgent, respectful towers who would price their services fairly and honestly. Almost two decades later, we stand at the forefront of our region’s industry thanks to our professional service and our customer-first mentality. Our team of experts isn’t just highly trained, licensed and certified to perform a clean, professional tow every time—they’re also good, kind people who understand how to make sure you feel comfortable throughout each step of the process. Give us a call today to see what we can do for you! Call Stooksbury's before calling AAA!!! After waiting over 5 hours for another AAA contracted tow company, AAA called Stooksbury's and they called me right away with an ETA. The driver was nice, professional and communicative. Stooksbury's accepts AAA and can handle those details for you, so I suggest calling them directly so that you actually get the help you need. If I could give them 10 STARS, I would! Stooksbury’s Towing can be counted on for fast, efficient service. They also offer fair pricing and treat you like a member of the family. 2 Thumbs up. No better towing company in the area. I can't say enough great stuff about these guys. I had a flat while staying at a cabin in Sevierville and they took care of it, fixed it and had me on my way for the nearly 300-mile drive home in about an hour!! Their staff was pleasant and assured me the repair was safe and I would be fine. As a mom driving with my kiddo, that meant a lot!! Thanks, Stooksbury’s crew!! You guys are top notch! !